The Scottish Professional Football League will look into allegations that a Kilmarnock player's signature was forged on a contract. A media report claimed the incident took place in March but the name of the player in question was not revealed. 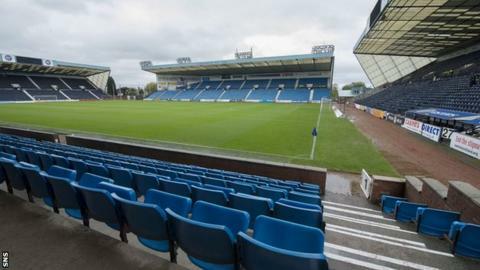 Rugby Park manager Allan Johnston says he does not know anything about the claims. "I saw it in the paper but that's as much as I know so I can't really comment," said the Killie boss. Scottish Football Association chief executive Stewart Regan indicated that his organisation would monitor developments. "It is a matter for the SPFL to deal with and we know that is being pursued by [chief executive] Neil Doncaster and his colleagues," added Regan. "We will retain a watching brief, see how the matter unfolds and then decide if and when we need to get involved."